A flattering but durable short built with an emphasis on downhill fun. Who loves bright colors and attention to detail? We do! Testers were attracted to the Norrie like crows to silver dollars. Yeti's signature blue is bright but tasteful, and the side leg ruching is flattering and functional, without being too fussy. Updates to sizing meant that it fit most of our testers perfectly. The fabric is durable for downhill and comfortable for pedaling. With smart but subtle updates, the Yeti Norrie easily became our Editors' Choice. If you don't relish the roughest trails around and can get by with a little less protection, check out Yeti's excellent Avery short. They'll save you a Jackson. Yeti gave the Norrie a makeover this year. Read on for more info on the Norrie 2.0. The Norrie has been upgraded to the Norrie 2.0. The major difference is that two zippered cargo pockets have been added, which addresses our issue with the original Norrie's less than ideal placement of the zip pocket. 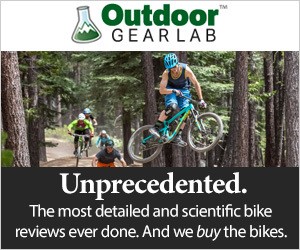 Though we haven't tested the new version yet, we're excited about this amendment to our Editors' Choice winning mountain bike short. The price has remained the same at $100. See the new Norrie 2.0 in the first photo, followed by the version we initially tested. The following is our review of last year's Norrie short. Yeti Cycles has made improvements to their feminine offering of the Norrie. The bright color and durable construction sparked our curiosity but the comfortable stretch, details, and inseam length made it a winner. Updates are subtle, but notable, especially in the sizing. The ruched legs keep the short looking feminine without sacrificing performance. Testing women's mountain bike shorts on the jump line. Last year we found the Norrie to run very small. The sizing on the updated short is much improved and our testers found that it was true-to-size. There was plenty of room in the leg for strong thighs, and they remain comfortable with kneepads. The Norrie has nifty little external webbing straps and cinches to customize the waistband. Primarily, we appreciated the innovative design and prefer it to the Velcro closures that are common in many other brands of shorts. We loved that they were minimal, easy to adjust and blended in with the rest of the short, while the pink buckles add a small bit of flair. Similar to how you tighten a backpack strap, simply pull the Yeti blue nylon webbing strap forward to tighten the waist and push back the cinch to loosen the webbing. The straps did not slip during the ride, and the ends are tipped in grippy rubber and simple to operate, even with gloved fingers, should you need to make an adjustment on the fly. The waist cinch on the Yeti Norrie is great for small adjustments. The tester with the smallest waist felt that the waist adjusters bunched up a bit on the sides to create some bulk on the waist that was odd looking, though not uncomfortable. Another low profile waistband we loved was also from Yeti, on the Avery. In addition, the Norrie had silicon grippers all along the waistband which provided a no-slip grip at the waist. The Norrie has a ventilation panel on the lower back which provided excellent breathability, as well as adding some visual contrast to the turquoise. Yeti has managed to craft the short with a rear stretch panel and glide patches for the thighs to create a functional and flattering fit. If you prefer a slimmer fit, you may want to size down with this model, but testers with athletic thighs appreciated the more generous sizing. We've got to hand it to Yeti for putting out a women's short that can take the hits as well as their male counterpart. Designed with the durability for downhill in mind, the Norrie is constructed of a burly polyester that held up against granite slides and tree branch grabs, earning it high scores in protection. The 12-inch inseam kept us comfortable on familiar technical terrain, and the flared hemline created a seamless overlap between the tops of kneepads when we wanted additional protection. Pad up and you're ready to go anywhere. If you're interested in more stretch and almost as much protection, the Troy Lee Skyline will do the trick. Testing on the rocky entry to the jump trail. The Yeti Cycles Norrie was up for the job! For having such tough construction, the Norrie manages to pedal very well! The addition of the rear stretch panel helped our riders feel comfortable in the saddle. The 100 percent polyester fabric boasted a two-way stretch component, with a back panel for stretch across the hips and the waist. They also included internal silky "glide patches" which helped the short stay put while the rider pedaled. Overall, the glide patches work really well, and no one mentioned the Norrie riding up the thigh or fabric gathering in the crotch area. The patches didn't add bulk to the shorts, but they did limit the breathability a tiny bit. A more breathable option which pedals just as well would be the Shredly MTB Short. We like our shorts to stay in place when we pedal on the singletrack. The Norrie has four pockets total: two open from the waist, a zippered pocket on top of a waist pocket, and a fourth Velcro patch rear pocket. Yeti has improved the size of the zip pocket on the Norrie, but the placement still left us baffled. It is big enough to hold an iPhone 8 (just barely), but having the pocket on top of the thigh meant it mostly went unused, except to hold cash or an ID. One tester thought it was great for quick access to a gel or lip balm. As a general rule, we're not big fans of placing anything valuable inside of pockets without zippers. You never know when you're going to bounce through a rock garden or go over the bars. The rear patch pocket is deep enough that we wouldn't advise putting anything in it that you wouldn't want to sit on while seated and pedaling. The Norrie has improved pockets, but they're still not ideal. If pockets are your main concern, the Yeti Avery is more satisfying in terms of zippered pocket placement. Or, if you like lots of pockets, check out the Zoic Navaeh, which has a bonus internal smartphone pocket. Should you decide to wear the Norrie shorts casually, you can slide your keys or ID into any of the pockets no problem. And, they certainly work for holding your micro-trash and snack wrappers on a ride. The zippered pocket is big enough to hold an iPhone 8, but do you want to ride with it on your thigh? The Norrie got high praise for style. Yeti's token blue is on point with color trends this year and moves from bike frames to bike shorts gracefully. The bright, saturated blue adds a nice splash of color to your kit and is complemented with contrasting navy YETI stitching and zippers. Another detail testers appreciated was the ruching on the outside of the legs. The ruching added a touch of femininity to the outer seams of the short and flared out the hemline of the short, which ended just at the top of the knee. Fitted through the hip and the thigh, the lower ruched flare gave the short more of a straight-legged look, as opposed to appearing pegged to the knee, like some other shorts. Rider after rider reached for the Norrie. We loved the color, smooth lines and balanced fit, which is why we awarded it Editor's Choice. Clean lines and classy, bright color make the Yeti Norrie a stylish favorite. If you feel like charging hard and looking good, the Norrie is the short for you. The material is durable enough to handle the technical downhills, stretchy enough for comfort while pedaling, and they'll look great hanging out at the trailhead afterward. They may be a little warm for the hottest days of summer, but pretty much ideal for the rest of your riding. Because the pockets may not suffice for all your needs, these shorts are ideal for riders who wear a pack. The $100 price tag falls on the high side of average. The Norrie has style, durability, and super low-profile waist cinchers. The pockets still have room for improvement, but overall these shorts are functional, comfortable, and durable. We'd say they're worth it. They're girly and they're burly. Pretty sure every girl secretly wants to own a pair Norries after reading this.